Back Row: Paul Steer, Greg Buckland, Eddy Hitch, Graham Bradley ,Wally Wall, Jerry Guscott, Giles Kidner, Not Known, Gauntlet Kelly. 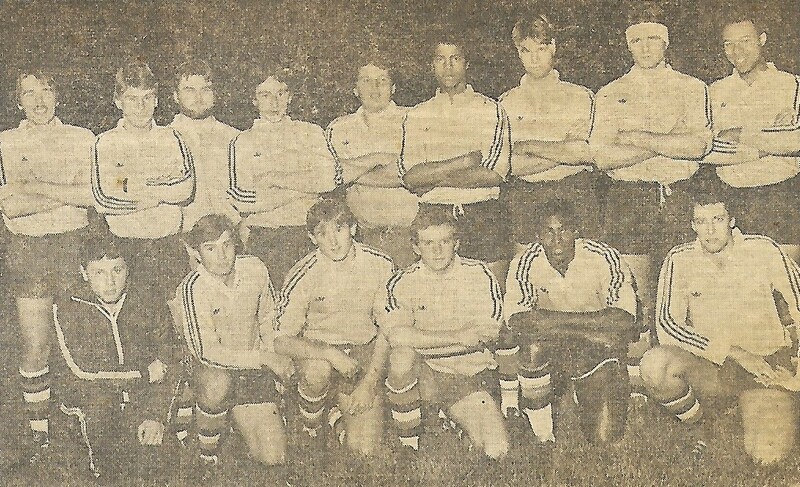 Front Row: Chris Howard, Steve Knight, Pete Cook, Jimmy Deane, Tyrone Cadogen, Andy Colenutt. This page was added on 04/12/2017.